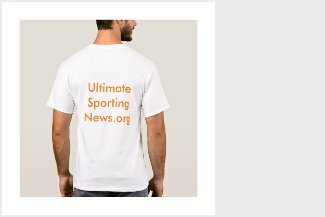 Patrick Kane, RW (NHL.com rank: 19) -- The 29-year-old has seen his point total decline significantly in each of the past two seasons; he had 76 points (27 goals, 49 assists) last season after 89 (34 goals, 55 assists) in 2016-17 and an NHL career-high 106 (46 goals, 60 assists) in 2015-16. But even with an NHL career-worst minus-20, Kane had strong enough category coverage to finish 57th overall in Yahoo. 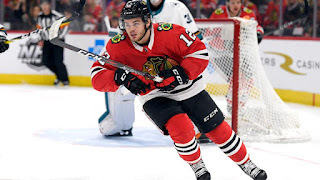 Kane's chemistry with wing Alex DeBrincat (played on same line for United States at 2018 IIHF World Championship) sparks renewed optimism for the elite right wing, making him worth drafting among the fantasy top 20 overall. Corey Crawford, G, CHI - INJ. (114) -- When healthy, Crawford is an elite fantasy goalie; he went 16-9-2 with a .929 save percentage and two shutouts in 28 games last season, and has at least 30 wins in each of his six full NHL seasons. Crawford missed the final 47 games last season because of an undisclosed upper-body injury that's not completely healed; he hopes to be ready for training camp. The 33-year-old is expected to be available much later than usual in fantasy drafts because of this injury concern but is worth the risk as a potential bargain anytime outside the top 100 overall. Jonathan Toews, C, CHI - INJ. (125) -- The Blackhawks captain has had point totals in the 50s each of the past three seasons and hasn't stood out in any single fantasy category. However, he remains one of the most defensively responsible centers in the game and has a floor of 20 goals and 30 assists, regardless of who's playing on his line. If frequent linemate Brandon Saad sees a shooting percentage correction (7.6 last season; 10.9 in NHL career) and returns to form at even strength, Toews should bounce back from the lowest points-per-game average of his career (0.70). Toews could skate with rookie forward Dylan Sikura, who was better than a point per game over the past two seasons (111 points in 73 games) at Northeastern University. Alex DeBrincat, LW/RW (132) -- He was one of the most unheralded first-year players in the NHL last season, finishing second among rookies in even-strength goals (22). He had three hat tricks, tied for most in the NHL with elite fantasy forwards Connor McDavid and Alex Ovechkin. DeBrincat's 52 points (28 goals, 24 assists) came on mostly the third line at even strength, and his 12 power-play points came on the second unit. After missing the Stanley Cup Playoffs, the Blackhawks are expected to elevate DeBrincat, the most promising young player on their roster. He has a much higher ceiling if he latches on with Kane for a full season, so target the second-year forward outside the top 125 as a fantasy breakout candidate. Duncan Keith, D (186) -- The 35-year-old defenseman was one of the biggest fantasy disappointments in the NHL last season, finishing outside the top 300 overall in Yahoo and being bumped off the first power-play unit at times. He had an abnormally low shooting percentage (1.1; two goals on 187 SOG) and hurt fantasy owners with an NHL career-worst minus-29. But the Blackhawks traded defenseman Jordan Oesterle to the Arizona Coyotes and Gustav Forsling (wrist) will miss the start of the season, indicating Keith will start the season in his usual spots with bounce-back potential if the Blackhawks stay healthy. If available outside the top 150, Keith is worth a flier as a fourth fantasy defenseman. Nick Schmaltz, C/LW** (192) -- The centerpiece of the potential Kane-DeBrincat duo is Schmaltz, who had a drastic improvement in points per game last season (0.67; 0.46 as rookie in 2016-17) and is striving for even greater consistency. The 22-year-old had erratic lineup placement, playing center and left wing, but his 17.8 shooting percentage (21 goals on 118 SOG) made up for it. He's a potential late-round steal who's a fixture in Chicago's top six and could reap fantasy rewards if stacked with Kane and/or DeBrincat.